It’s always nice when bands throw out an unexpected curve-ball, something designed to both challenge and reward their listeners. 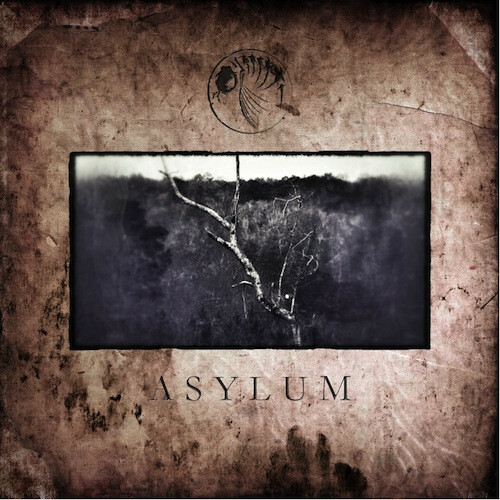 Progressive Death Metal proto-titans Talanas have decided to do just that with their new, about to be released, mini-album Asylum, putting a markedly different spin on their signature sound. 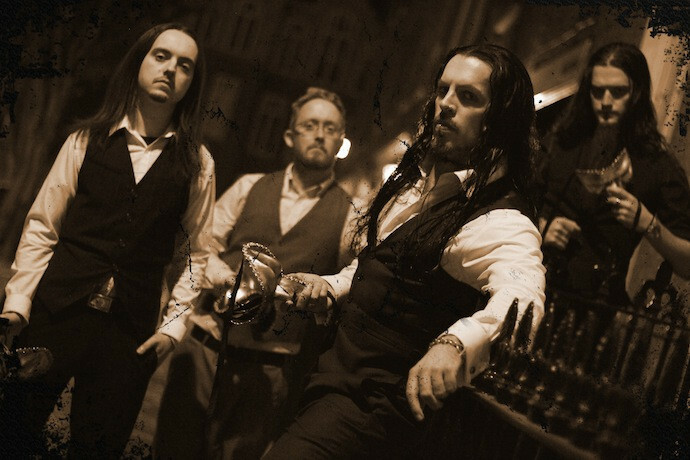 Whereas the band’s usual approach – akin to Akercocke and My Dying Bride copulating in a field of dead flowers and broken dreams – gives the listener the sensation of being choked and pummelled by an iron fist in a velvet glove, they’ve taken a decidedly different turn on Asylum, stripping out the deathly aggression and metallic distortion, accentuating instead the ethereal wonder and decayed glamour of their gothic roots. Though only five songs in length, there’s easily enough depth and breadth of sound here to satisfy even the most ravenous listener, and have them coming back again and again, desperate for more. The obsidian glamour of “Sister Damnable” draws down a silken veil of intricate guitar work, where whispering vocal harmonies caress the ear with sombre grace – recalling the Peaceville Three in their prime – while the soft patter of drums kisses the canvas with subtle splashes of decadent colour. Nuanced and progressive, possessed of a quiet, patient power, the song lives and dies in its dynamic construction, weaving together crimson threads of pain and solitude into a tapestry of bewitching beauty and quiet despair. The seductive, swaying motion of “My Lady White” conjures a blissful narcotic spell, accentuated by esoteric touches of hammered dulcimer and flowing, hypnotic acoustic guitar. Time seems to slow to a dreamlike crawl as the song washes over the listener in soothing waves of exquisite anguish. Minimalist and mesmerising, the breathless serenity of “The Apostle” teases deep shadows and hidden depths with its languid instrumentation and graceful interplay of male and female voices, which leads into the sanguinary rhythms and pulsating ambience of “Asylum”. The album’s title track is a wealth of dark treasures and gleaming jewels, multi-faceted and melodic, brooding and beautiful, whose blood-stained vigour ebbs and flows until the song’s last dying breath. All things must end though, and the ghostly strains of “Nothing Gained” provide a fitting finale for this strange and sibylline journey into darkness. The distant, echoing drums paint an atmosphere of fading grandeur, as chiming celestial guitars shiver, shimmer, and shudder, in their euphoric death throes. The elegiac vocals exhale a morphine cloud of mournful melodies whose lachrymose lyrical flair provides a final exultant epitaph as the song sinks back into the endless silence. A near-perfect synthesis of raw emotion and progressive nuance, the whole experience of this album is, in a word, captivating. It sinks into your skin, into your very marrow, leaving you haunted and tormented by that which you cannot forget. Utterly enthralling from start to finish, this is the truest expression of the old aphorism that, in the right hands at least, less is more. completely massive of mr. synn there, i’m overwhelmed with… whelm. it’s a subtle off-pink and moist to the touch.